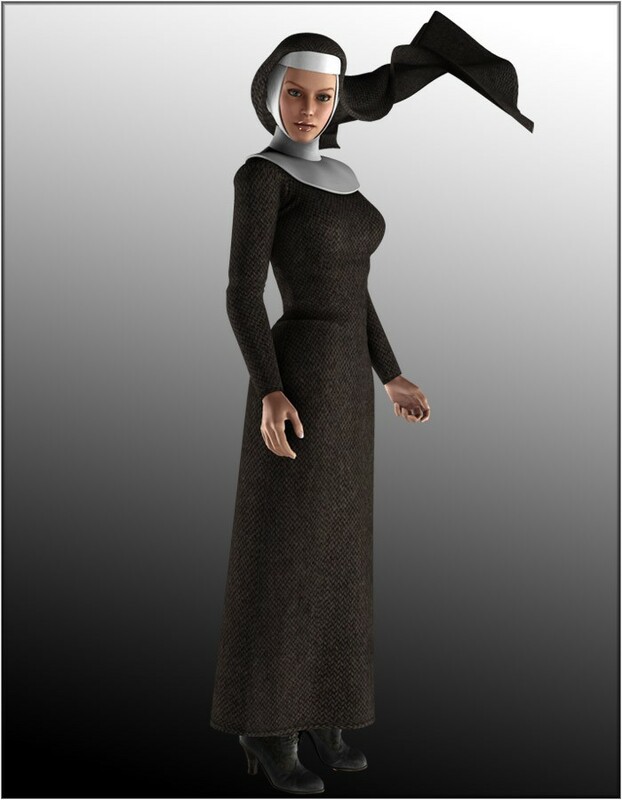 Show your faith with this Nun veil and texture for Vicky 4. 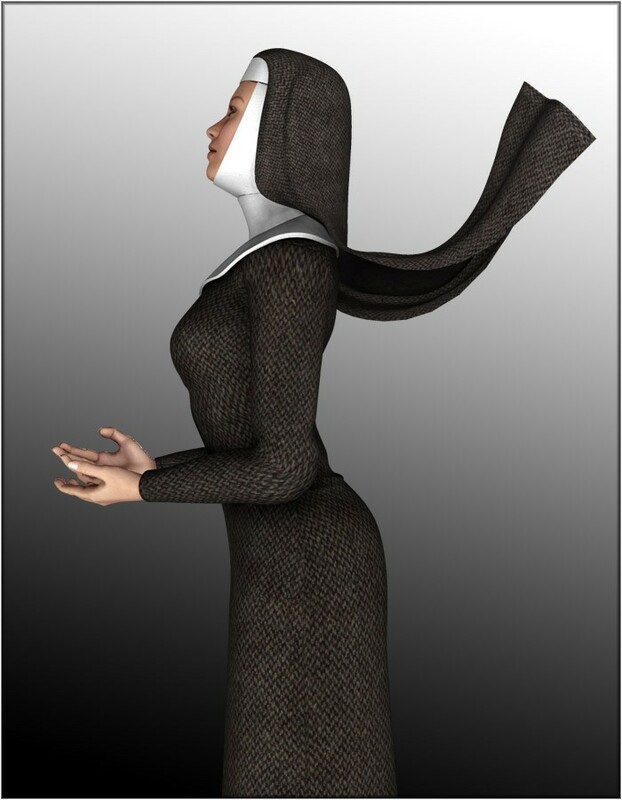 The veil has numerous movement morphs to help with posing. 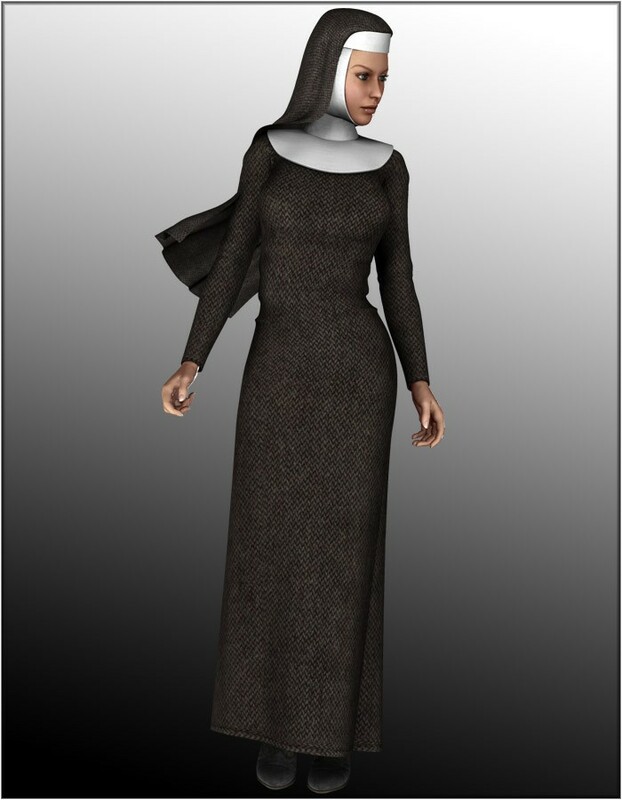 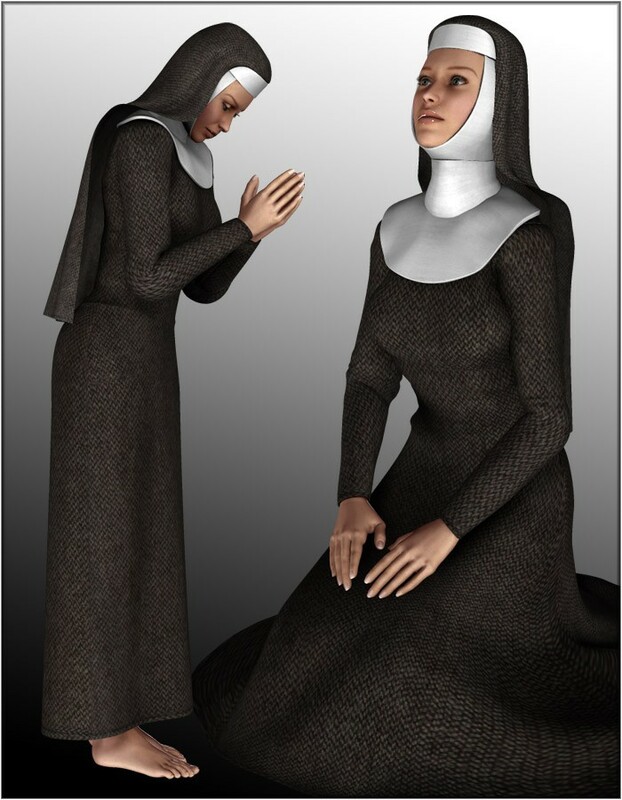 The package also contains a nun dress texture for the Peasant Dress for Vicky 4 to complete the ensemble.